What’s the Difference Between SSI and SSDI Law? The chief difference between Social Security Disability (SSD, or SSDI) and Supplemental Security Income (SSI) is the fact that SSD is for workers who have accumulated a sufficient number of work credits, while SSI disability benefits are for low-income individuals who have either never worked or who haven’t earned enough work credits to qualify for SSD. Though many people don’t or can’t tell the difference between SSI (Supplemental Security Income) and SSDI (Social Security Disability Insurance), they are two completely different governmental programs. While both programs are overseen and managed by the Social Security Administration, and medical eligibility is determined in the same manner for both programs, there are very different aspects between the two. Supplemental Security Income is a program that is stringently need-based, according to income and assets. SSI is funded by general fund taxes. SSI is called a “means-tested program,” which means it has nothing to do with work history, but only with financial need. To meet the SSI income requirements, you must have less than $2,000 in assets (or $3,000 for a couple) and a severly limited income. Disabled people who are eligible under the income requirements for SSI are also able to receive Medicaid in the state they live in. Many who qualify for SSI will also qualify for food stamps, and the amount an eligible person will receive depends on where they live and the amount of regular, monthly income they have. SSI benefits will begin on the first of the month when you first submit your application. Social Security Disability Insurance is funded through payroll taxes. 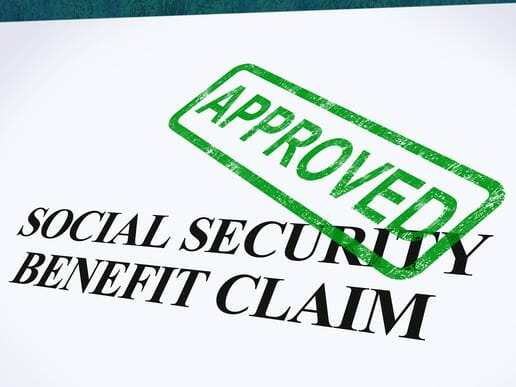 SSDI recipients are considered “insured” because they have worked for a certain number of years and have made contributions to the Social Security trust fund in the form of FICA Social Security taxes. SSDI candidates must be younger than 65 and have earned a certain number of “work credits. If a disabled person has received SSDI for two years, they are then eligible for Medicaid. Under SSDI, the spouse and children dependents of the disabled are eligible to receive partial dependent benefits. These are called auxiliary benefits. Although, only adults over the age of 18 can receive the SSDI disability benefit. There is a five-month waiting period for benefits. This means that the SSA won’t pay you benefits for the first five months after you become disabled. The amount of the monthly benefit once the waiting period ends depends on your earnings record, a lot like the Social Security retirement benefit. Do you need help navigating it all? Contact us today.